Michael Showalter's "The Big Sick" is one of the biggest independent film stories of the year, earning raves at Sundance and being picked up for a hefty price by Amazon and Lionsgate. Wow, was the purchase worth it, as the film has already made over $50 million worldwide and I suspect will grow an even-bigger audience on Blu-ray, DVD, and streaming. There are some who even think this little movie could might make some noise during awards season, possibly even netting Kumail Nanjiani and Emily V. Gordon an Oscar nomination for Best Original Screenplay. I wouldn't rule it out (nor would I rule out Kumail for a Golden Globe nod for Actor in a Comedy) and think Holly Hunter is nearly a lock. The point is this has been a talked-about movie all year and the conversation is far from over. You should see it so you can be a part of it. 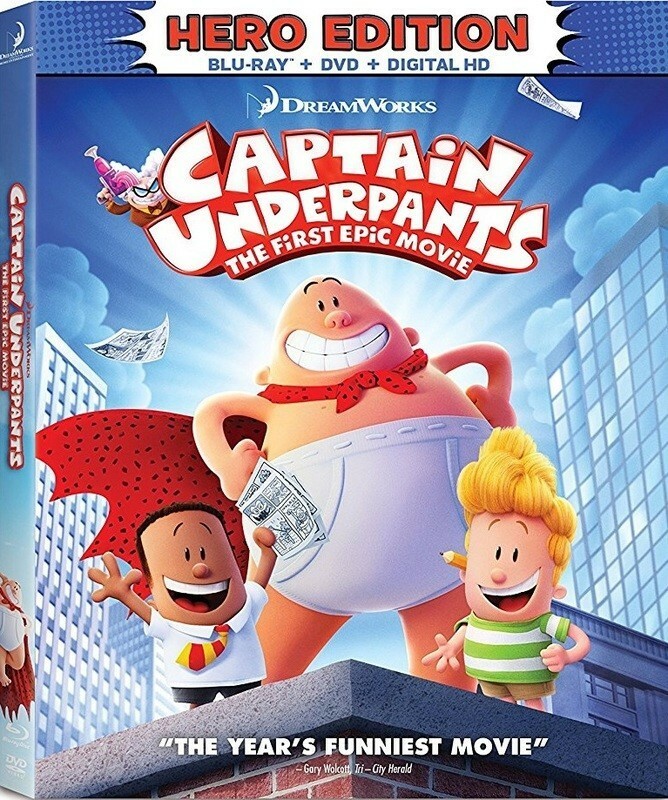 It's a shame that uninspired sequels like "Despicable Me 3" and total trash like "The Emoji Movie" made more than this clever kids flick in theaters. For one thing, I'd really love to see this team reunited for a sequel, and it's going to have to be huge on DVD if that's gonna happen. This is not a perfect animated flick by any stretch but it's a fun, smart adventure that encourages something we can't teach our children enough: the importance of creativity. Yes, a movie with a character named Professor Poopypants, voiced brilliantly by Nick Kroll by the way, actually has a lesson or two to impart. As a father of three boys, I have to gauge every animated film by the fact that it's probably going to play multiple times in my house. I won't mind this one as much as most other 2017 releases. Sitting at the World Premiere of Kelly Reichart's "Certain Women" at Sundance in early 2016, I wondered how the rest of the country would respond to the film. It's a very unique film, unapologetically slow in its pacing and detailed in its characters and world-building. I joked at the time that Reichardt assembled her most mainstream, all-star cast and made her least accessible film to date with them. That's the kind of daring I admire. And her work here with actors is the best of her career, particularly in the third segment, featuring shoulda-been-nominated work from Lily Gladstone and Kirsten Stewart. That segment alone is one of the best films of 2016. Reichardt makes films that capture our relationship to the natural world and find something truthful in the way we relate to each other against that backdrop. I wrote about this one extensively here, and I'm so very happy to see this movie find the audience it deserves through its induction into the Criterion Collection. It's an important movie, and Reichardt is an important director. Before "mother!" became the most divisive movie of the year, there was this genre exercise in metaphorical horror, which is increasingly becoming a derogatory phrase for a movie to bear. It's interesting to me how much people are willing to embrace deeply symbolic pieces like "It Follows" and "The Witch" as long as the films stay "small" enough but when you get to the multiplexes you better provide some basic horror genre tentpoles or you will be eviscerated. Trey Edward Shults' deeply personal film offers few answers, which happens to be how I like my horror. Nothing's scarier than the unknown, and his work here with perspective and sound design is remarkable. Ignore the 'D' on CinemaScore. Give it a shot for yourself. 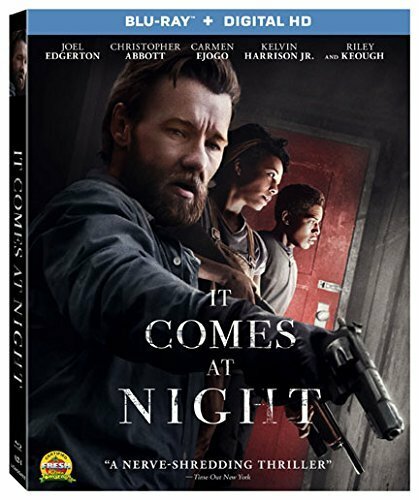 Audio Commentary with Writer-Director Trey Edward Shults and Actor Kelvin Harrison Jr. The Disney Vault release pattern just keeps turning. Now that almost every Disney animated canon film has been released on Blu-ray, the company has to return to titles that already hit the market but were stashed away in their unique and controversial release pattern that offers limited windows in which to buy a movie. 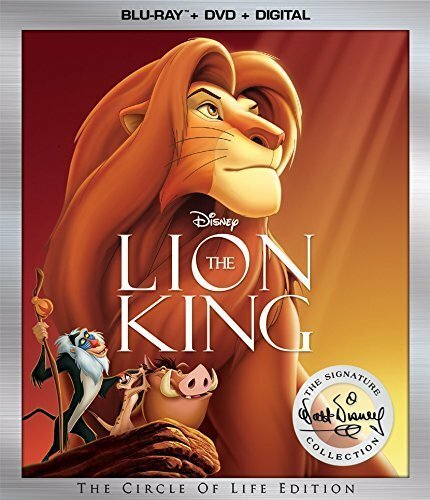 People hate it, but it kind of works, because now we get another edition of "The Lion King" to sit on New Releases shelves and tempt buyers. This one even includes a new sing-along version of the timeless flick and a digital copy, which the last release did not. Most importantly, the movie looks better than ever. The colors seem brighter and the line detail sharper. Unlike a lot of '80s and '90s Disney movies, this is a work that has actually grown better for me with age, now feeling like the timeless classic that many people always considered it to be. My point is that even if you never loved "The Lion King" as much as your friends or colleagues, this release might be for you. Believe it or not, Alfred Hitchcock's "Rebecca" is one of the first films that I can ever remember loving. I should have known I'd become a film critic. 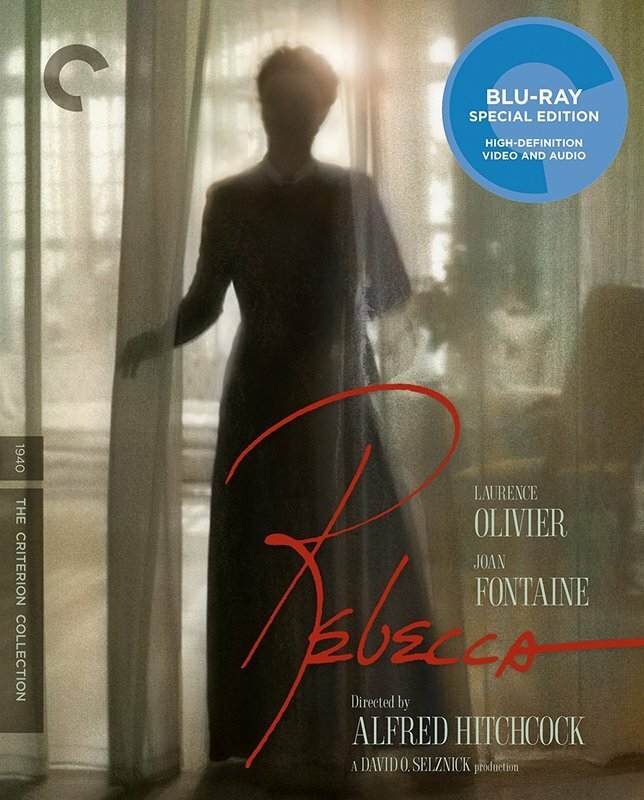 I was lucky enough that my parents introduced me to Hitchcock at an early age, and I fell for the "big ones" like "Psycho" and "Rear Window," the two most common early beloved Hitchcock films I would imagine, but there was something mysterious and powerful about "Rebecca." It was otherworldly and gorgeous, working in a different register from the "popular" Hitchcocks that served as the foundation for my love of cinema. 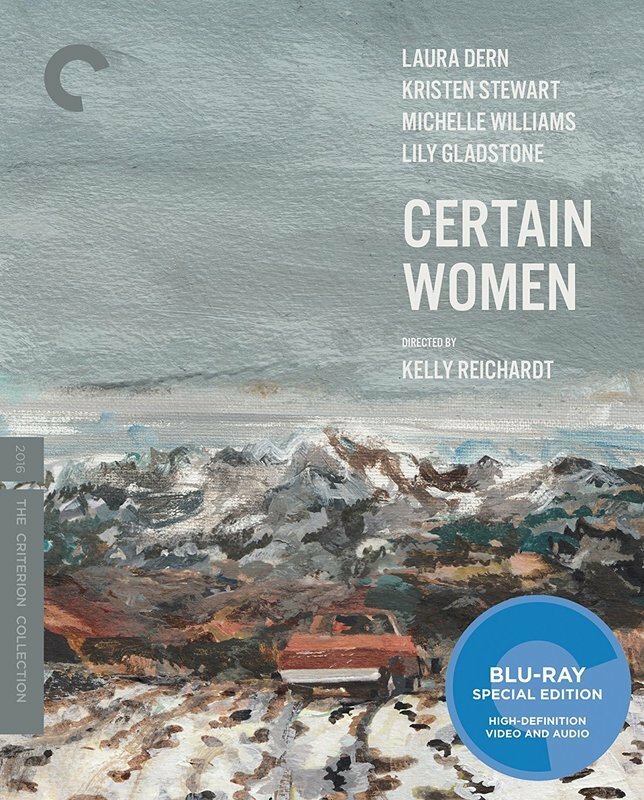 And the Criterion release is absolutely stunning, one of the best Blu-ray releases of 2017. Not only is the restoration a beauty, the archival material is mindblowing. There are box sets that don't have this dense a section of special features. You'll find interviews, documentaries, and three complete radio versions of "Rebecca." Every now and then, Criterion issues a release that feels essential for any true film collector—this is the one for September 2017. "Only those who have never fought like to argue about who won and lost." That's just one of several lines in Ken Burns and Lynn Novick's latest epic docu-series that made me catch my breath. 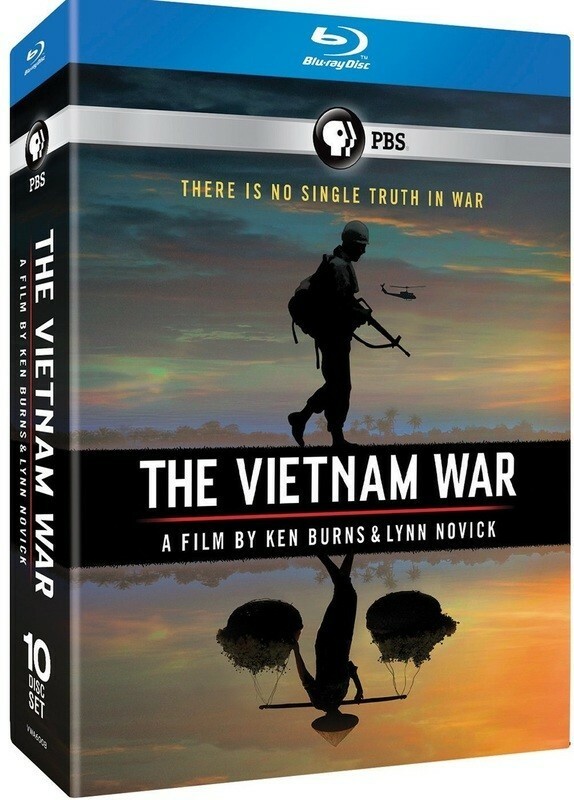 By now, no one should be surprised when Ken Burns releases a masterpiece, but "The Vietnam War," now airing on PBS and already fully-available on Blu-ray, still made my jaw drop at times. It is a mesmerizing study of the conflict in Vietnam, further proving how essential Burns is not just to filmmaking but history. Working with arguably the best team of editors alive, he tackles the Vietnam War from every angle, weaving interviews with veterans together with footage that more chronologically defines the conflict. At first, the structure threw me, but it becomes almost a symbol for the war itself in the way it never ended for the people who were there. "The Vietnam War" is one of the most important TV events of 2017 and you can already own it. It's kind of amazing to consider that the two biggest movies of the year, culturally at least, were directed by a black man and a woman. The former is, of course, "Get Out," and the latter is Patty Jenkins' "Wonder Woman," which burst through barriers this summer to prove that the DC Universe wasn't nearly as dead as critics made it out to be. Look at what happens when you get a real director, someone as interested in character as they are CGI. Look at what happens when you hire a filmmaker interested in performance, and let her draw fantastic work from Gal Gadot and Chris Pine. 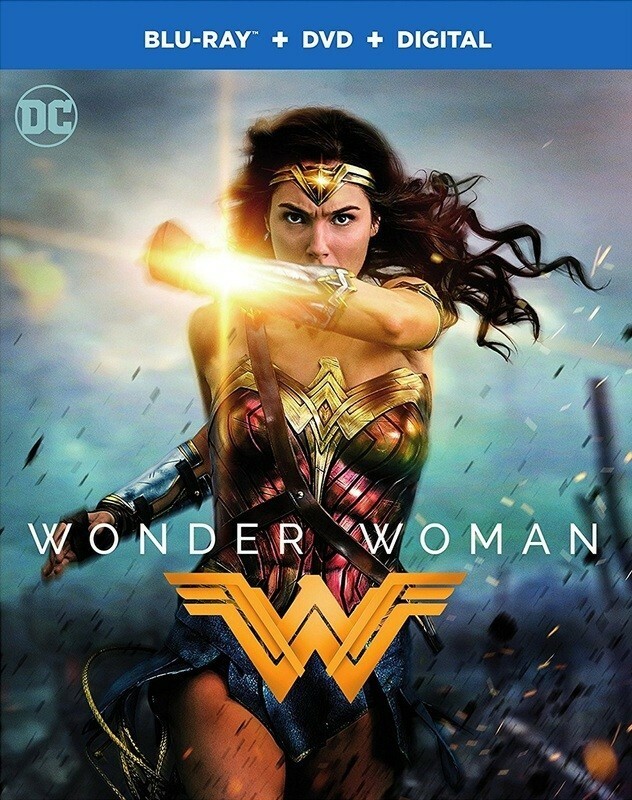 I agree with the consensus that the final act of this one gets a little bogged down in typical DC flaws, but it's so good for the first two hours that I didn't really care. It's the kind of movie you know you'll watch enough that it's worth owning, and I look forward to showing it to my three boys as soon as possible. It's a game-changer in so many ways that I can't get into all of them here, but one hopes that the rest of the industry really considers why this movie connected with audiences so completely and learns its lessons. Next Article: Fall TV Preview 2017 Previous Article: HBO Takes Viewers Back to 42nd Street with "The Deuce"